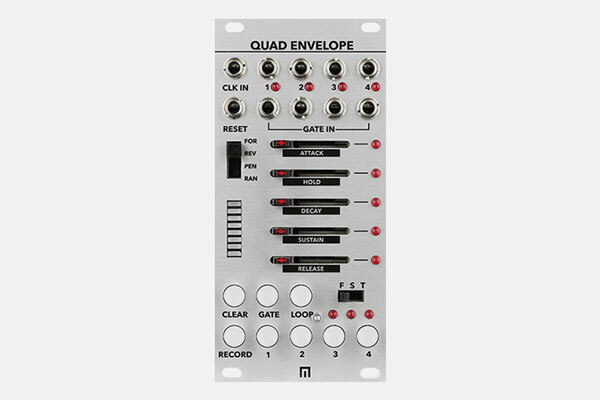 Quad Envelope includes 4 individual AHDSR envelope generators with individual outputs as well as a 16-step automation sequencer per channel. Hold the Record button and move the sliders for Attack, Hold, Decay, Sustain and Release to animate each of these settings for a given channel. Autosave in stand-alone mode, or save up to 16 presets of these settings using Varigate 4+ or up to 100 presets using Varigate 8+.